Suggest which new set(s) you want from this list! Priority would have to be these 2 sets masters were made in November 2009 which has probably deterred other manufacturers from making them, hence they are still a massively under represented in the extremely popular Napoleonic Wars. 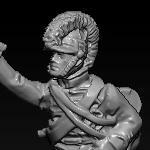 I'm with Brian: Napoleonic Russian Line infantry from the 1812 period. I think the Napoleonic Russian Line infantry would benefit from some extra 1808 Shakos some Historians claim that these were worn by the majority of troops at the Battle of Borodino in 1812. - If I can use them for Iron Age Britain then the Gaulish Light, medium, and Heavy infantries. Are any of these 1/72 versions of the 1/32 Gallic Warriors (Yes please, definately) and Celt Iberians (yes I think I can use some)? - American Revolution sets, Baggage Camels. - The WWI German machine guns, French trench gun, German cavalries and British wagon. I have a rather old fashioned view as to how queues work so I would point out that I think folks have waited a mighty long time for that Flying Pig. And, Yes! thanks very much for asking. Byzantines, Slingers, Sassanid Elephants, All the Gauls. Please. The colonial wagons are my priority please. The 7YW Austrians look fantastic too. Napoleonic Russians, then Napoleonic Austrians, then the other Napoleonic stuff. Then American Rev. I appreciate much your polls for new figure productions, but I am surprised that you have asked us already our favourites one year ago. What will happen with the former results and the winners, especially the WW1-cavalries after the new poll? Brian, I had quite a large Austrian Napoleonic army.....& gave it all away last Christmas. I hope you (& others) get the Austrians of your dreams from HaT but unfortunately they are irrelevant to me. I would buy several boxes of the American Revolution sets for sure. I hope they come out before my eyes fade completely! I would like to see some more Napoleonic wars stuff. Particularly, I think that more Russians are definitely needed because we have plenty of the Prussian and Austrian armies, but only a few Russian sets which compels most of us recur to the conversions, if we want to build a more or less complete Russian Army of the Napoleonic wars. However, only the French seem to have all the necessary ammunition sets, whilst other armies mostly lack them. Therefore, if you decide to proceed with the Bavarians,followed by the Russians, I would be very pleased. Once again, I would like to thank HäT and encourage you to keep making us happy. You are a great company! By "Light" Gauls I assume the intention is to produce missile units, but it would be nice to have wagons and camp followers i.e. women and children, who seem to have followed the men to the battlefield to shout encouragement. Same idea for migrating Germans. But I really want 3rd century Romans. My vote goes to...AWI, all kind of sets (infantry,cavalry, artillery,...), both British and American. I don't see the 7YW Prussian artillery on this list, but those would also be high on my list if relevant. I am still reeling from the News that you lost an entire Army even Pickett only lost a Division I would normally prefer to give away a kidney although last year I did give away a lot of my not so well painted figures and still have not got round to painting their replacements with my supposedly superior painting skills. I would like to see the production of Ancients!